The National Society Daughters of the American Revolution (NSDAR or DAR), founded in 1890 and headquartered in Washington, D.C., is a nonprofit, nonpolitical volunteer women’s service organization dedicated to promoting patriotism, preserving American history, and securing America’s future through better education for children. About 930,000 women have joined DAR since its founding. 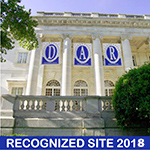 DAR members volunteer millions of service hours annually in their local communities including supporting active duty military personnel and assisting veterans, awarding thousands of dollars in scholarships and financial aid each year, and supporting schools for underserved children with annual donations exceeding one million dollars. As one of the most inclusive genealogical societies in the country, DAR boasts members in 3,000 chapters across the United States and internationally. Any woman eighteen years or older, regardless of race, religion, or ethnic background, who can prove lineal descent from a patriot of the American Revolution, is eligible for membership. Golden Spike Chapter NSDAR was established in October 1919 in Ogden, Utah. The chapter was named to honor the 150th anniversary of the driving of the golden spike, which joined the Transcontinental Railroad at nearby Promontory Summit in 1869. Golden Spike Chapter NSDAR serves the area surrounding Ogden: Weber, northern Davis, southern and western Box Elder, and Morgan counties. We currently have approximately sixty members. We have a proud history of local community and national service. We have donated flags in the community, encouraged proper flag display, assisted in courts of naturalization since 1922, promoted awareness of the U.S. Constitution by annually sponsoring community observances of Constitution Week, honored new citizens, worked with the Red Cross in wartime projects, raised funds for 1,000 seedling trees to reforest ten acres at Snow Basin in the 1950s, helped children learn to read, presented ROTC and JROTC medals, donated books and DAR magazines to libraries and the VA Medical Center, donated items to the Ogden Homeless Veterans Fellowship, and sponsored a World War II veteran in the Honor Flight program. We are proudly acting as a Commemorative Partner in the Department of Defense’s commemoration of the 50th anniversary of the Vietnam War. When the George E. Wahlen Veterans Nursing Home was built in Ogden in 2009, Golden Spike donated $5,000 to furnish a room, and we frequently donate clothing, movies, and games to the veterans there. We participate in DAR State Society and National Society programs by regularly donating food pantry items, clothing, and Christmas packages to veterans and deployed troops, cash and school supplies to American Indian schools, and requested items to American military personnel and programs. 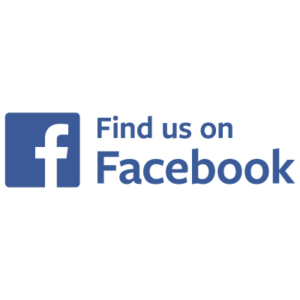 Our meetings are generally held in the Ogden area on the third Monday of the month, September through May, with occasional exceptions. Besides meetings, we host numerous activities and events throughout the year. Join us! Please contact our chapter regent if you are interested in becoming a DAR member, or attending a meeting.